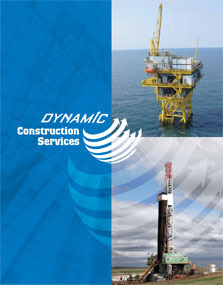 Dynamic Construction Services (DCS) is a full-service Construction Division of Dynamic Industries, Inc. — providing light fabrication, site construction and maintenance, and specialty craft services for offshore and onshore projects. Our experience and resources make DCS the preferred choice for upstream, midstream, and downstream sectors of the energy, chemical, industrial, and pipeline industries. 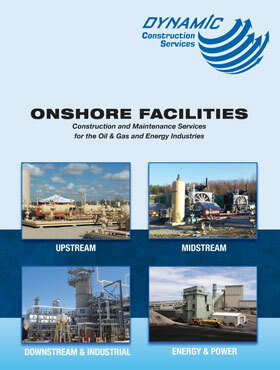 We provide a broad variety of complementary services either stand-alone or bundled into a turnkey offering, such as offshore structural, piping, blasting, painting, scaffolding and fireproofing. We can provide modular or stick build solutions as well as EPC for your full facility.